With South Korea’s amended Automobile Management Act, known as the Korean lemon law, set to go into effect in January, the Ministry of Land, Infrastructure and Transportation introduced detailed guidelines for refund and exchange of defective cars Monday. Vehicles that undergo more than “two major repairs” due to defects found in essential parts such as the motor, driveline or brakes within a year from delivery with less than 20,000 kilometers driven are subject to refund or exchange under the new law, the Transport Ministry said. Other vehicles eligible for refund or exchange are those that experience the same defect more than “four times,” and repairs longer than 30 days. A deliberative committee consisting of up to 50 auto professionals will step in to find out the cause of the flaw, and they will be given rights to request documents from carmakers and conduct performance tests on faulty vehicles if needed, the government said. The committee members, who have not been decided upon yet, will also make a final decision as to whether car should be eligible for refund or exchange. “A decision made by experts would be given the same effectiveness as a judgement decision. The stricter measure is legally binding and reduces information asymmetry,” the Transport Ministry said. Under the Korean lemon law, carmakers would be responsible for proving the vehicle not defective within six months of delivery, a leap forward in consumer protection from the current civil law that requires consumers to prove flaws, the government said. Previously, it had been difficult for drivers to find out the exact cause of the defect because about 30,000 parts may be used to make a single car. Amid calls from consumers for enhanced car owners’ rights, moves have been made to reinforce laws related to automobile consumers. Rep. Park Soon-ja of the Liberty Korea Party, who is the chairman of the National Assembly’s Land Infrastructure and Transport Committee, had proposed revisions to the Automobile Management Act earlier this month containing the punitive damages system. The change, if adopted, on top of the lemon law is expected to contribute greatly to enhanced protection of car owners. 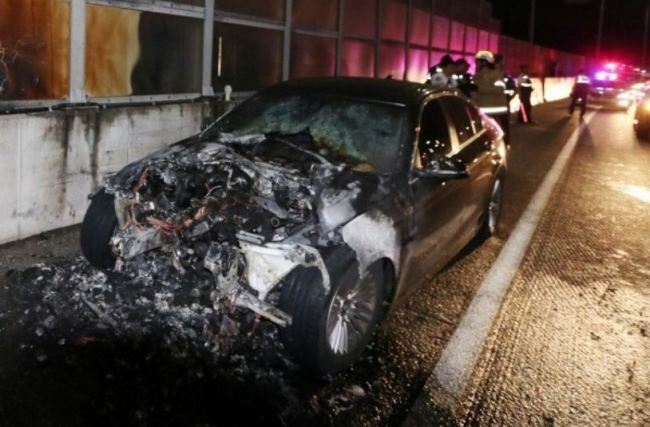 Park put forth revisions following series of BMW engine fires over the summer that put the German luxury carmaker in a funk, surprising BMW owners and the public. Automotive companies here for the most part welcomed the new law, as it would provide clear legal measures when handling faulty cars. “Currently there are guidelines for settling disputes over defects found in vehicles. However they lack effectiveness because they are not legally binding and vague,” said an industry insider who wished to remain anonymous.